Emphase Recordings is the trance label founded by two polish artists Mike Wind & Arctic Moon. Their music have been supported by the biggest names in electronic dance music scene such as: Armin van Buuren, Paul van Dyk, Tiesto, Above & Beyond, Ferry Corsten, Markus Schulz, Aly & Fila, Judge Jules, John Askew, Simon Patterson, Sean Tyas and many many others. Emphase brand bets on young talented artists and top quality music releases. Every single month in your favourite music shop will arrive fresh digital release with remixes from upcoming and well-known artists. Emphase Recordings releases powerful trance music with more tech or progressive full package remixes inside releases. In plans are events called 'Emphase Nights' and already runned 'Emphase Selection' on Afterhours.FM that is gathering hundreds of trance music fans all around the world by worldwide internet. If it's not enough, there is also available 'Emphase Podcast' on iTunes mixed monthly by one of the Emphase launchers - Mike Wind. Emphase releases were already supported by Top DJs such as: Armin van Buuren, Paul van Dyk, Tiesto, Above & Beyond, Ferry Corsten, Markus Schulz, Gareth Emery, Sander van Doorn, Cosmic Gate, Rank 1, Menno de Jong, Marcus Schossow, Aly & Fila, John O'Callaghan, Andy Moor, Judge Jules, Richard Durand, Sean Tyas, Simon Patterson and many many many more! On the 29th of July 2010 Emphase Recordings Day unites Trance music fans from around the globe for this special celebration. As part of this event you will hear 21 invited guests, producers and friends who are helping us built our brand. Also we invited special guest for you - Aly & Fila that will prepare exclusive 1 hour mix for that day! In assocation with Afterhours.FM, Emphase Recordings Day will be 23 hours show of non stop music where you will hear only hottest sounds so mark your calendars for Thursday, July 29th 2010, as we unite as one for our special day. 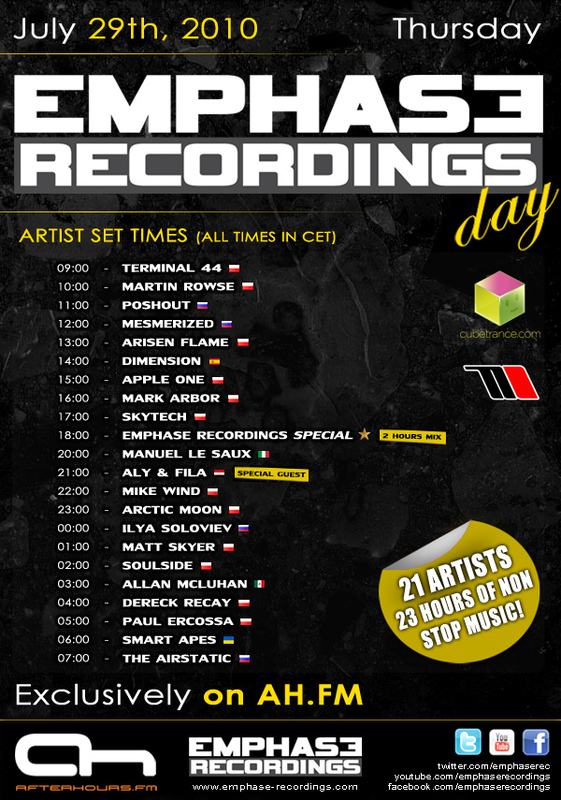 Emphase Recordings Day is a celebration for the DJs, for the producers and all people that support us! 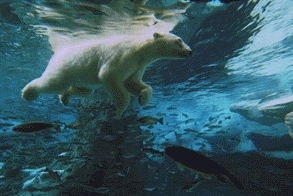 Last edited by Kowy; Aug 2nd, 2010 at 13:59.